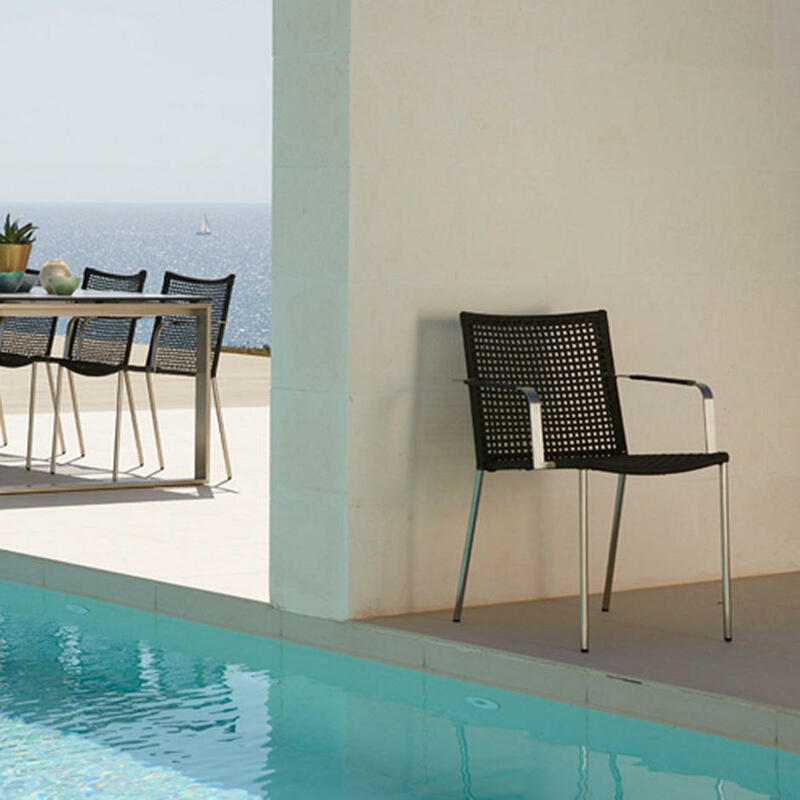 The Straw dining chair combines the classic art of weaving with unfailing modern design. 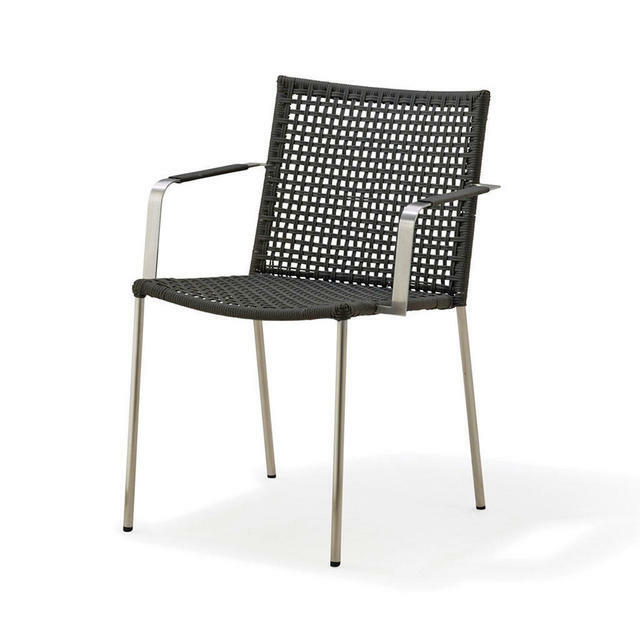 The woven surfaces gives the chair a lightweight appearance and excellent comfort. 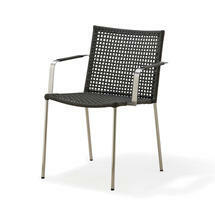 The frame is made of stainless steel and uses the innovative all-weather Cane-line rope material. 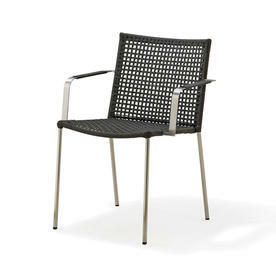 The Straw dining chair is the perfect combination between comfort and modern contemporary design. 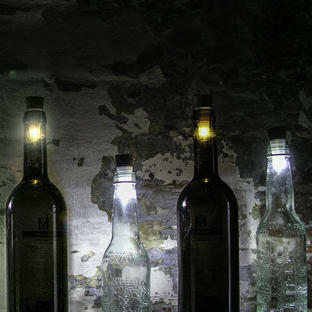 Suitable to be left outside all year round, simply hose or wash down in the Spring. 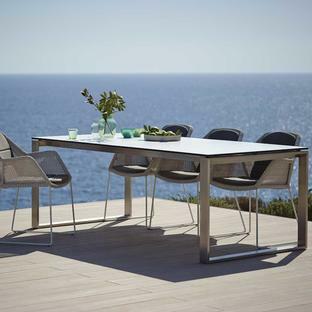 The chairs work perfectly with the stainless steel framed tables from the Pure or Edge collection. 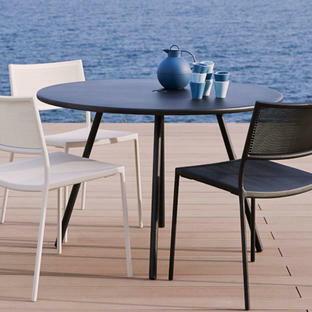 Or for a more contemporary look try the minimal Area tables.